Should I buy my stairlift directly online? 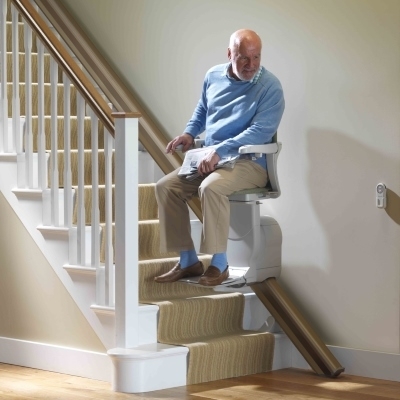 What does it take to maintain a stairlift? 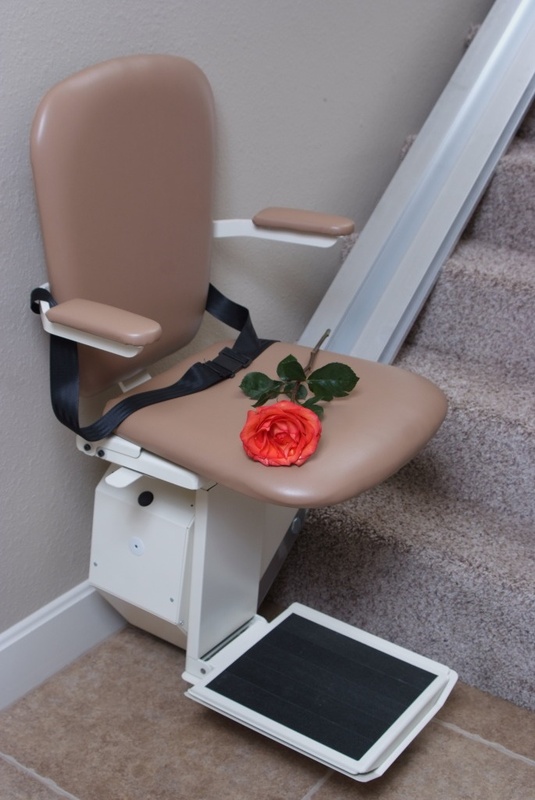 The professionals at Pittsburgh Stairlift have been installing stair lifts of all types throughout southwestern Pennsylvania, upper West Virginia, and Southeastern Ohio for 35 years. Whether you live in Youngstown, Wheeling, Johnstown, Morgantown, Monroeville, Newcastle, or anywhere in between, we install stair lifts, and offer the very best service available anywhere in your area. 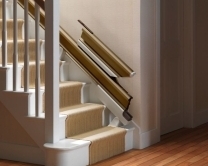 Rather than a hit or miss purchase on the internet, we firmly believe a personal visit for an evaluation of your stairway's unique requirements is essential. It's the safety of you and your family under consideration. That is why we provide you with a personal, on site evaluation, and a professional measurement of your stairway free of charge. Properly matching a stair lift to your space should be performed by an experienced professional that has installed stair lifts, and is familiar with all of the available options. Take a look at the picture at the right. This is an option to fold up the rail, which removes what would ordinarily be an obstruction in the walkway at the bottom of the stairs. On the right you will see two additional options of importance. In the top picture a lady is raising the footrest of the stairway lift by pressing a button with no bending down. In the second example a customer with an arthritic hand is able to easily operate the controls. You will not find these options explained or even offered on a typical internet site. Just one of many reasons why you should never buy a stair lift directly on the internet. Why would you take the risk of measuring your stairs improperly when we will come to your home, explain the options, and professionally measure your stairs for free? The picture on the left shows our economy model , indoor, straight stair lift whose price competes with anything on the internet or elsewhere. The major difference in our offering? It is guaranteed for life. Many of our customers have challenges in the form of curved stair lifts or outdoor stair lifts that must stand up to some tough weather. Take a look a these two beauties. Our professional team is experienced in every challenge a stair lift can offer. Copyright © 2013 Access Elevator. All Rights Reserved. Built with Volusion.